Healthcare food service is a fast-paced and demanding job. Each patient has unique nutritional needs and taste preferences, and in the constant rush to meet these, accidents are bound to happen. Spills, burns, missed deadlines, and more - all are common issues that cause headaches and throw a wrench in the day-to-day operations of a kitchen and hospital. Plus, these minor interruptions can add up and take a toll on your facility’s Press Ganey score, putting government reimbursements in jeopardy. Fortunately, in many cases, simple improvements in process and equipment can drastically cut down on these annoying accidents. Without much additional effort or investment, you can achieve smoother day-to-day operations, increase patient satisfaction, and reap the benefits of a higher Press Ganey score. At Carlisle, we design our solutions with the people who use them every day in mind. Before we recommend any products, solutions or general process improvements, we’ll consult with your team, and get to know the demands, challenges, and opportunities in your operation. This is an important step, and it allows us to understand what products will really benefit you. We won’t sell you any that don’t. Serve hot food hot, and cold food cold. It’s no secret that patients, like many diners, prefer to receive hot dishes still steaming, and cold dishes noticeably chilled. 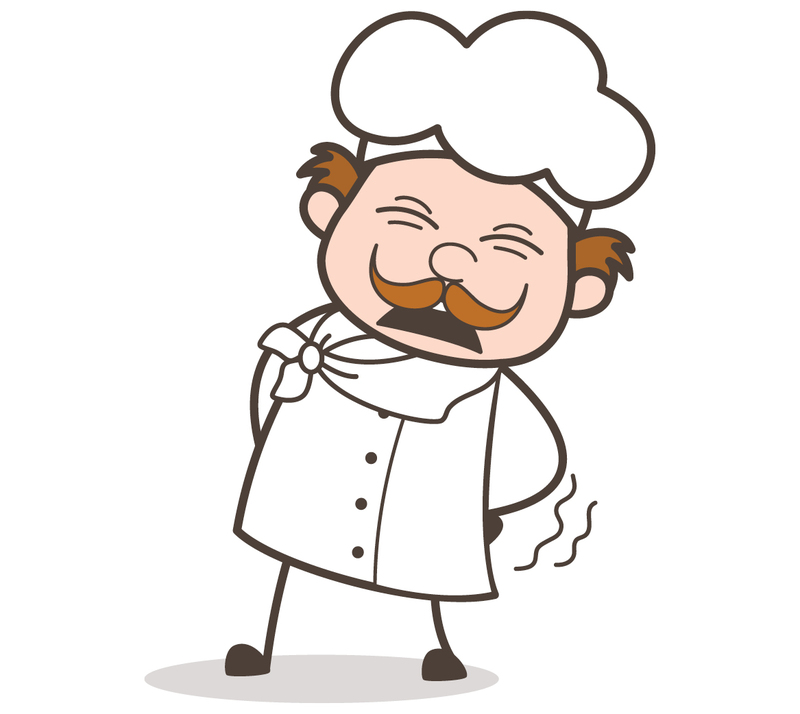 Few things can reduce patient satisfaction quite like swallowing a spoonful of lukewarm soup or taking a bite of a tuna salad sandwich that seems like it’s been sitting out for hours. But on the other hand, consistently delivering orders at their appropriate temperatures will build appreciation and satisfaction and keep your Press Ganey scores at an opportunistic level. The first step to serving hot food hot and cold food cold is to accurately measure temperatures. 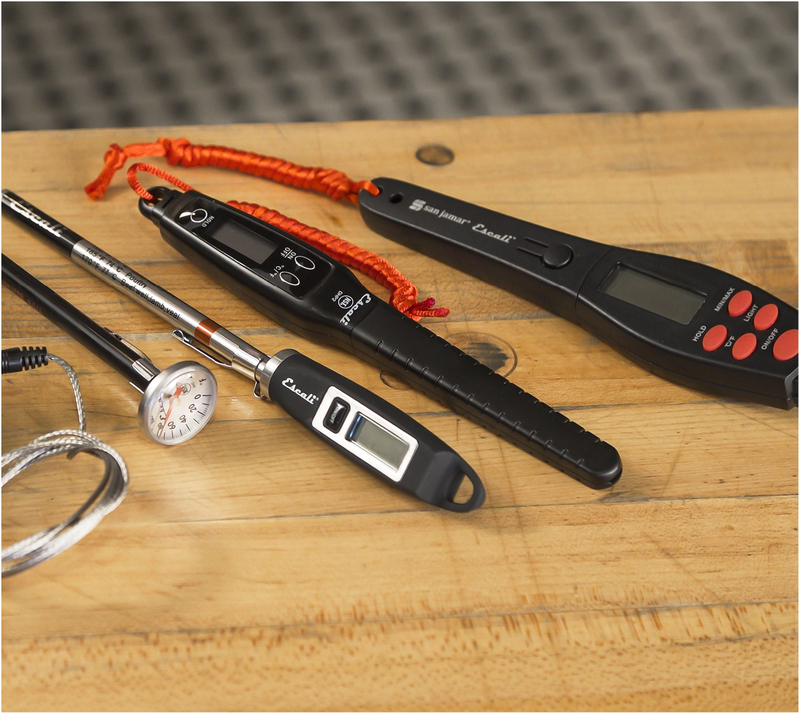 In a fast-paced kitchen, this calls for thermometers that display an accurate reading, quickly, in any environment. Our San Jamar thermometers enable your team to check the internal temperature of meats and other dishes leaving the oven; verify that your refrigerators, buffets, and storage areas are holding the correct temperature; and ensure that foods aren’t sitting too long on a serving tray or cart before being delivered. Getting accurate temperature readings at all stages of your food service operation can identify the point at which foods lose their appropriate temperature. Perhaps a refrigerator isn’t cooling correctly. Maybe a serving dish, or buffet tray, isn’t holding heat. These insights can identify which products or improvements can improve your ability to deliver food at the optimal temperature. Once you have thorough and accurate temperature readings at all stages of the food service process, the next step is to improve temperature holding times. Are your plates at least 170F? Is the food in your steam table at or above 165F and are internal protein temperatures adhering to USDA standards? What temperature maintenance solution are you using? Do you utilize induction or convection systems? 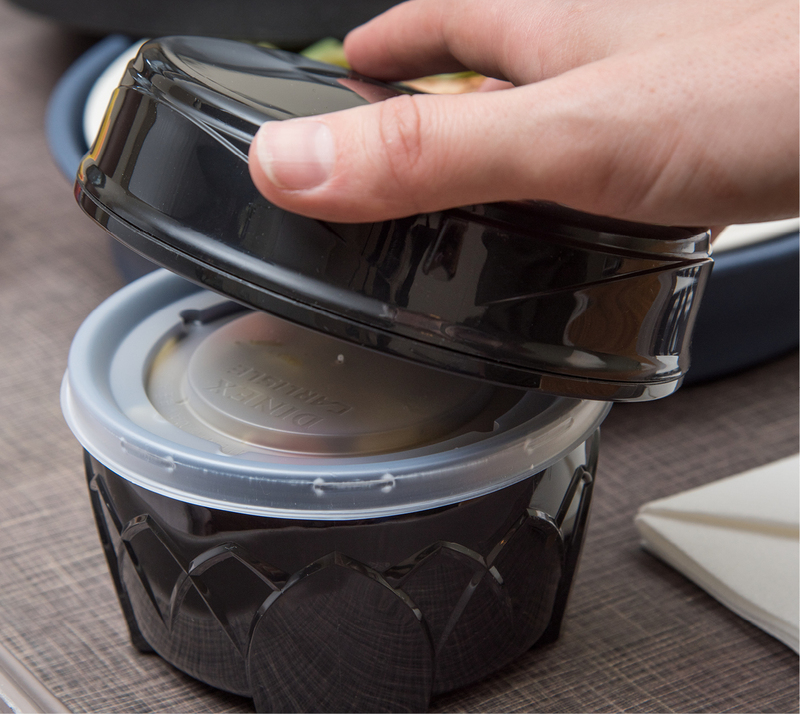 Increased flexibility allows more time between food prep and delivery, while still allowing you to serve food at the ideal temperature. Temperature control is so important that Carlisle has dedicated an entire team of specialists to help our clients optimize their systems - if you’re interested in improving your temperature control, get in touch with us here. In the chaos of a demanding kitchen shift, one of the most disruptive things that can happen is a preventable injury to an employee. Burns and cuts may seem like an inevitability in a workplace bristling with sharp knives, hot surfaces, and open flames. But with the right precautions and equipment, their frequency can be cut down dramatically, if not eliminated. Anyone who’s spent more than a few weeks working in a kitchen has pulled a hot dish out of an oven, only to find that the oven mitt they put on has a hole worn into it. Best case, a burn like this is annoying and disruptive for several days. The same can be said of cuts to the hands sustained while chopping food. In the worst case, though, these injuries can be life-changing, not to mention the toll they can take on your kitchen process. We offer products that can virtually eliminate the chance of these common and significant workplace hazards. Our BestGuard Oven Mitt with Kevlar Webguard and Cut Resistant Gloves with Dyneema are dependable for years, keeping your employees safe and allowing them to work at top speed without fearing a cut or burn. Even in the most demanding, dangerous kitchens, Carlisle has you covered. Our EZ-Kleen full body protection kit will keep your employees safe in the face of bubbling, boiling hot grease, dangerous chemicals, and more. Hot and cold food holding practices are at the core of efficient tray assembly lines. How have you set up your tray assembly line? Are you using a POD system? Are you using a traditional trayline? Or are you using a modified tray line paired with a short-order-room service cookline? Regardless of your operation procedures, Carlisle is here to evaluate the proper practices that are imperative to your patient satisfaction success and Press Ganey scores that will impress those in charge of your operation. Check out our solutions for efficient hot and cold stations on your tray assembly line. 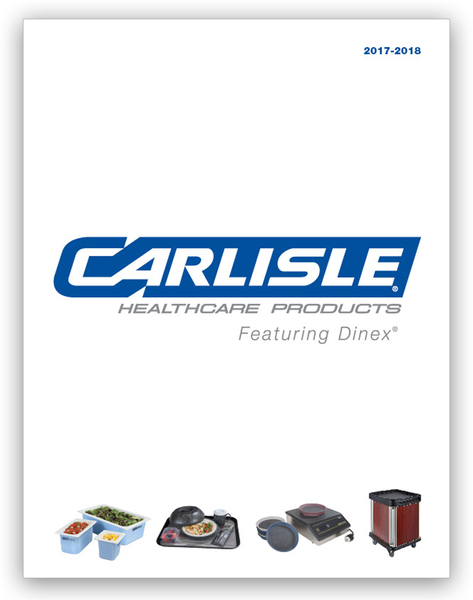 From plate heaters and steam tables to air curtains, Dinex has the most comprehensive product offering in the industry. If you have a hot station, check out our steamtables and plate heaters. If you have a cold station, our air curtain, ice cream freezer, and milk coolers to improve your offerings. No matter the application, Carlisle’s unique 4-team approach can help you identify the proper equipment and tray makeup systems based on your daily tray production volumes. Our custom design engineers can further enhance your personal consultation utilizing and optimizing the arrangement of induction systems, plate heaters, work tables, starter stations and drying racks with potential smallware additions like insulated DuraTherm soup lids or Dinex Cool Bases that provide added insulated for warm soups or cold salads respectively. Healthcare food service is an important job. Delivering nourishing meals is a key part of treating patients and aiding in their recovery. Developing a smooth, efficient system and equipping your staff with reliable and quality tools will help your facility meet this important obligation in a way that delights and satisfies your patients. Get in touch with us here at Carlisle – we’ll set up a consultation, learn about you and your facility, identify ways to improve your system and show you the tools most likely to make your team work more smoothly. Your day-to-day operations will be easier, your patients will look forward to mealtime, and your Press Ganey scores will reflect their satisfaction.